“When Type 1 diabetes strikes there is disbelief, shock, anger, fear, helplessness, pain and sorrow. There is so much to learn. There is overwhelm. There is mourning. Another childhood stolen. It is time to learn to cope and time to learn how to live life the best you can. It is difficult. Forced to face and fight a life threatening disease every day for life is a tragedy that changes life for the child and the entire family, forever.That’s the very moment our support begins. 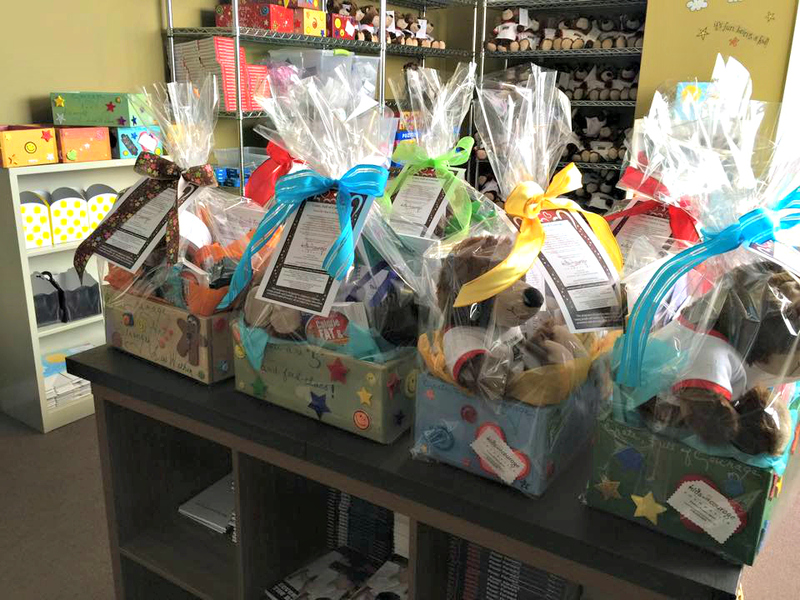 At the hospital, through our ‘Crate, Full of Courage’ program.” To learn more about this amazing program, click here. 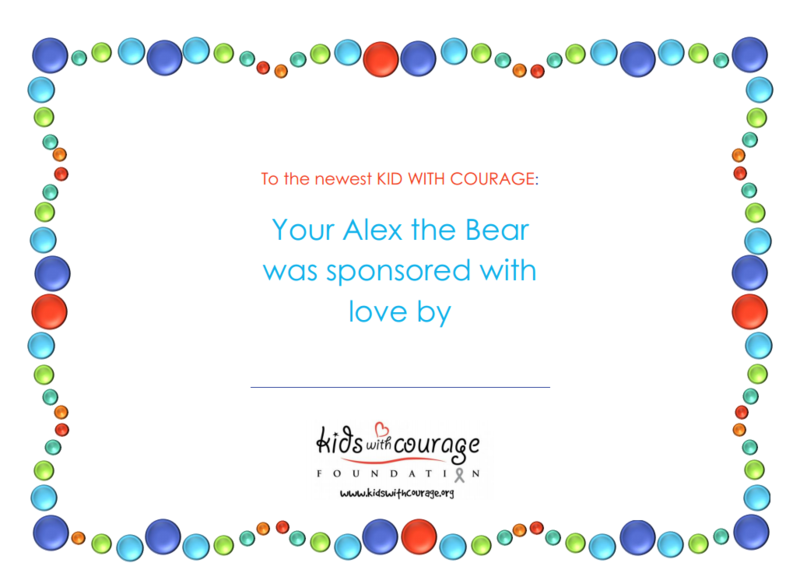 In our beautiful Crates Full of Courage that all newly diagnosed children receive through Children’s Mercy Hospital, our biggest expense is our Alex the Bear. He makes kids of all ages smile and is the first thing each child sees. For a limited time, we are offering a “Sponsor a Bear” event. For $15 you can sponsor a bear that will go into a Crate Full of Courage. 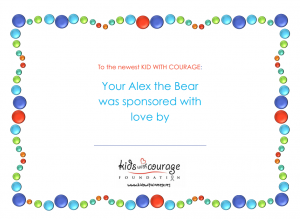 Your name will be added to a beautiful certificate that will accompany your bear. That bear will go to a child who will know that you were thinking of them. This is SO important for these brave kids. Without your support, we couldn’t provide support for these brave kids. The Royals ticket promotion is no longer available but we still hope you will like to sponsor a bear for our brave children! *Please add the name of the donor for our crate certificate on the note section during the checkout process. Thank you so much for your support! 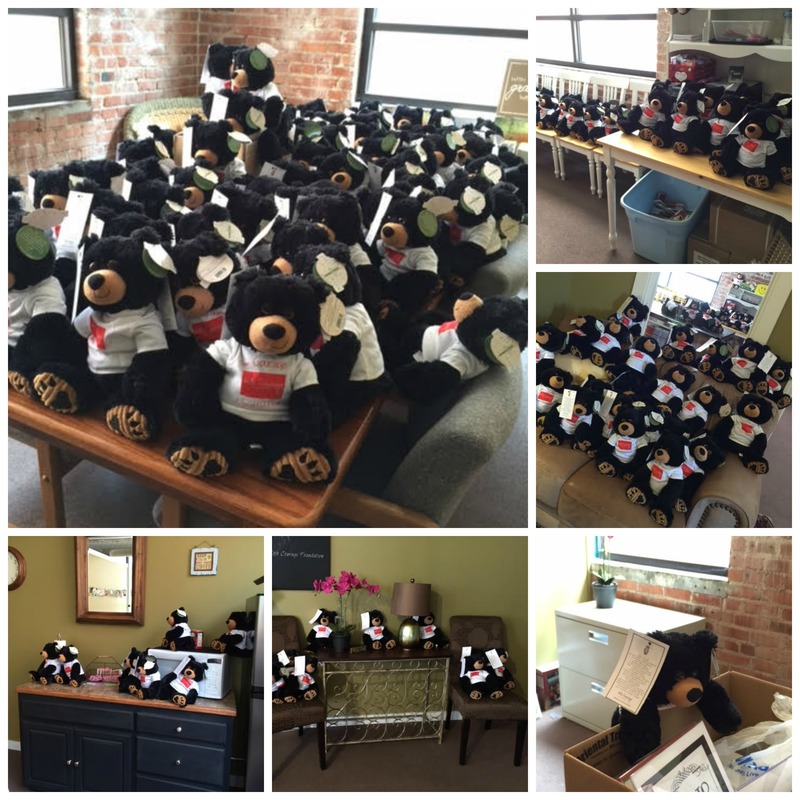 All donations for “Sponsor a Bear” are tax deductible. Please email Kristi@kidswithcourage.org with any questions. Thank you! !